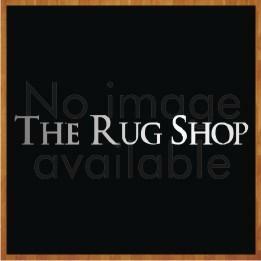 In our Kids rugs section, we offer a wide variety of rugs in numerous sizes, colours and designs. All the rugs in this section are uniquely crafted in different materials and designs which will inspire and entertain your children. Rugs for a kids rooms, ideally should be made from nylon or polypropylene, as they are stain free and highly durable. For older children, you may decide to select a wool rug to add a more mature look to their rooms. Choosing the right design for your child's rooms is a really fun activity, we even have educational designs to cater to your and your child's needs. Our ranges cover everything from animal-shaped designs, to popular games. We have it all! All these designs are available in various colours, sizes and textures, to help you decide the best rug for your child's room. When choosing a rug, it’s important to keep in mind your child's interest and personality as they will have it in their room. The objective here is just not to provide the aesthetics and design for your room but to also cater for a comfortable area for playing, sitting and entertaining their friends. The quality of the rug that you purchase is another consideration when looking for the best childrens bedroom rugs; after all, you want a rug that will be comfortable, not abrasive and rough yet durable. It is easy to check the materials – just look at the weave and the pile in the overview, or product description, of the rug to check the material used. Childrens play rugs can become dirty quite frequently so it is best to avoid rugs made from natural fibres like wool. Instead, go for materials like nylon and polypropylene. These materials are soft and add durability, as well as elegance. Choosing a colourful kids rug is important, as this will stimulate their imagination and add to the positive energy in their room. We always keep this aspect in mind, which is reflected in the wide variety of colourful kids rugs to choose from whether it’s a large kids rug, or a small themed rug, we have a great selection for you to choose from.